Gringo the Outsider espresso Eco coffee beans is the best Italian espresso that the roaster can produce, according to themselves. The small amount of good Robusta beans gives the espresso an added attitude and adds a subtle touch of cocoa that is so irresistible with milk. The beans in this blend will be replaced due to season but Gringo will do whatever they can to keep an even level of flavors, that are characterized by a taste that is great for mixing with milk and a light acidity that raises the taste rather than it affects it. 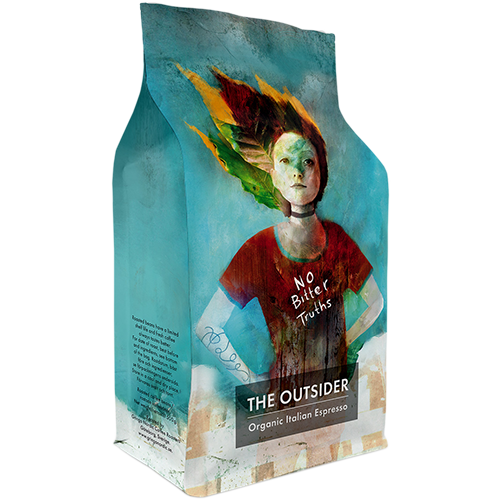 The Outsiders hide no bitter truths The roaster has only roasted organic beans from the best organic farms and cooperatives they could find.